Hi, this is Archie’s Dad. 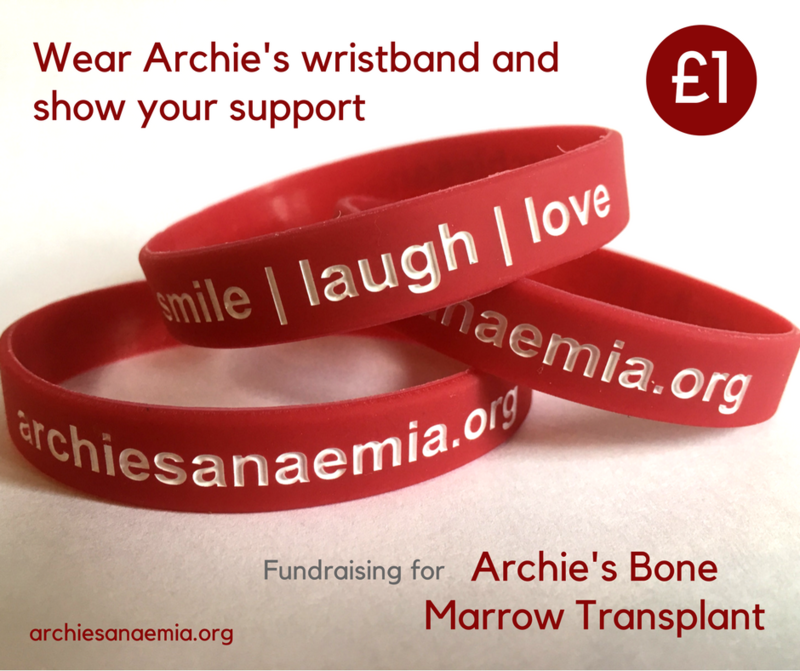 I would just like to post a little message and briefly explain our campaign behind Archie’s Bone Marrow Transplant. This message is straight from the heart, gut wrenching at times but paints a picture of Archie’s illness. 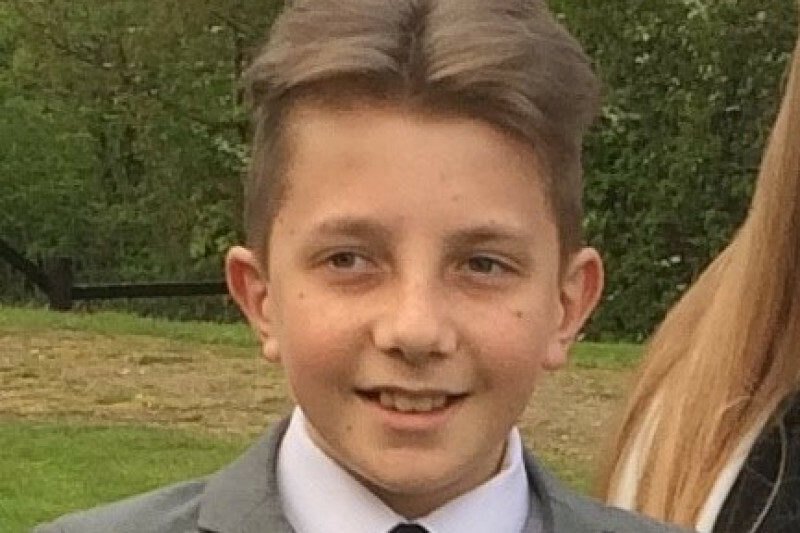 Archie has what is known as Congenital Sideroblastic Anaemia. Sideroblastic anaemia is a form of anaemia in which the bone marrow produces ringed sideroblasts rather than healthy red blood cells. In sideroblastic anaemia, the body has iron available but cannot incorporate it into haemoglobin, which red blood cells need in order to transport oxygen efficiently. In short, this is an extremely rare bone marrow disorder present in only a handful of people worldwide. For many years, Archie has battled this illness, an illness where my only wish would be to fix every part of him. The truth is, this is not possible, instead we’ve all stood by and cared for Archie when he’s not well. When I say not well, I really want to clarify what this means, as we are all unwell from time to time. We all get a cold and flu, and occasionally we end up trotting up and down the stairs, and yes it can sometimes make us feel pathetic and want for some attention. But we get over this quickly. Now in the context of Archie, a simple cold and flu virus has pretty much the same effect. However, he also suffers with aching joints, severe headaches, sickness and irregular bowel movement. He has a needle into his stomach every day for 10 hours. He has blood transfusions every other week, occasionally every 4 weeks. That very same blood keeping him alive is also slowly killing him. His organs are now riddled with iron overload, which is putting him at high risk of cardiac arrest. The only option for Bone Marrow Transplant is also at risk, as he has stage 4 liver fibrosis. We have no other option moving forward! Archie has a portacath implant within his body. This enables the doctors to access his bloods easier. However, this is a huge risk as it also becomes a high-risk infection zone. Archie is now on his second portacath as the first became infected, at which point he became very ill very quickly. I’ve never seen so many doctors and nurses around a bed. He was in so much pain! And as parents, we couldn’t do anything other than watch it all unfold. For me, it all happened in slow motion as I turned and watched his brother put his head between his knees to hide. A scene I never wanted to witness, let alone his brother. He was rushed from one hospital to another, it happened all so quick. You don’t get time to think, that comes later. I’ve never asked his brother to attend hospital since! I failed to mention Archie’s second portacath had to be surgically removed and re-implanted, as Archie’s heart suddenly started to skip a beat, several times an hour. The tube into his heart was too deep, therefore causing interference with the frequency of the heartbeat. When Archie first described this feeling, I wasn’t quite sure what he meant, nor could I visualise the feeling. Again, we find ourselves been rushed into Addenbrookes Hospital for surgery. Just when you think Archie has recovered from a life threating infection, you're gripping tight once more on this never-ending roller-coaster. 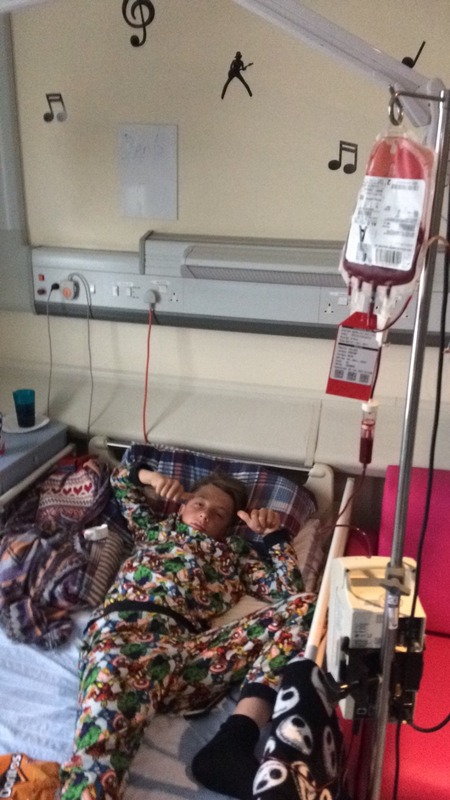 Archie has now received over 150 whole blood transfusions, approx. 50 litres of blood. He takes copious amounts of tablets every day to manage a multitude of side effects, all of which he hates. We don’t even know if the Bone Marrow Transplant will work, but it’s our only option. The blood transfusions have destroyed his spleen, which has now been removed. He takes antibiotics daily to fight infection. Through having blood transfusions he’s contracted some blood and bone marrow viruses, such as Parvovirus and HVV6, and several years later we are still fighting to remove these viruses through immune therapy on a frequent basis. It’s working slowly. We’ve discussed the risks in London, Archie has accepted the risks, not a decision I would like at 14 years of age. He’s tired, he’s had enough, he loses appetite frequently and gives up. He loses weight, he loses concentration through being physically and mentally exhausted. Archie doesn’t want any more Liver Biopsy’s, Bone Marrow Aspiration’s, Blood Transfusions and most of all he wants to be rid of the daily 10 hours of Iron Chelation Therapy to manage the iron overload from blood transfusions. He wants out! Over recent months, he’s started to build up a resistance to the blood transfusions themselves. I’ve always hoped this day would never come. Why? His life depends on blood transfusions, and we haven’t brought him this far to give up, and so we’ll keep going and we’ll keep fighting until we can fight no more. So when do you get time to think? The answer is you don’t. The more you think the less you do. It’s tough and it’s been a hard few years for everyone. The Bone Marrow Transplant is where we are heading, a journey where we have no idea what will be on the other side. The transplant itself will be ugly, Archie will lose his hair and spend most days in pain, uncomfortable, away from home, isolated and pretty fed up. Why are we raising money? Having sat down and looked at the sums, it will cost at least £8000 to fund travelling, parking, hotels, food, train journeys and much more. The transplant will take at least 6 months. The proposed duration of transplant is based on a text book operation and we know after 7 years of fighting hard for a cure, the text book doesn't apply. The after care will take much longer, therefore it is very much likely costs will increase up to around £10,000 or more. During the transplant we are allowed a maximum of 3 carers, but only 1 carer is allowed to stay overnight at any point. Any other carers will have to stay nearby in a hotel/B&B or travel back and forth on the train. We will be living out of a suitcase for 3-6 months. Archie’s illness is extremely rare, so rare it doesn’t appear on any funding stream for any of the reputable charities. We fall between the cracks and despite how much the Doctors may support us as a family, there is NO funding to support families such as ourselves through this journey. It eats away at my pride to ask for help, but I’m asking as I want the best possible outcome with the least amount of worry over the next chapter. 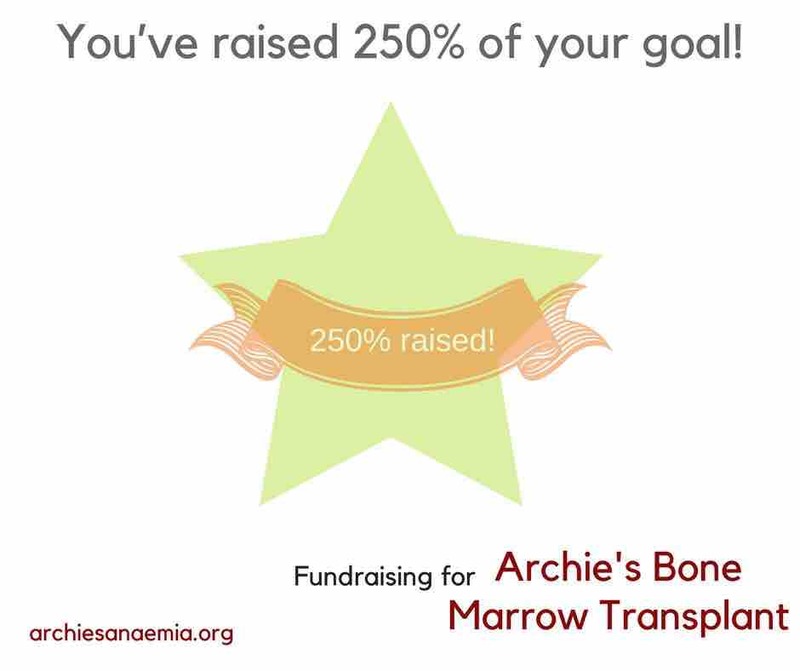 Post-transplant, any donations remaining will be donated to a chosen charity of Archie's choice. All money will be managed jointly through a dedicated bank account via the HSBC. Please help us on the campaign by sharing via Facebook and Twitter. 3 Months on since Archie’s last appointment to see his consultant in London. Over the last few weeks we’ve been back and forth to London for another scan and further consultation, to which I can confirm the results were better than expected. So what does this mean exactly? The last consultation we had in April, the scan revealed the build up of Iron within Archie’s Liver was reducing through iron chelation but not enough, Archie’s medication was changed to increase the dose and duration and hey presto Archie is now within the optimal range. Further more, this means Archie can now proceed with the bone marrow transplant. It is worth noting at this point, Archie has done us all extremely proud as we’ve had the hottest summer since 1976, and Archie has ploughed straight through showing no sign of given up. Archie has been connected to his syringe driver 24/7 for almost 4 months. This level of courage and determination deserves a huge medal, what a fantastic achievement. We are fast approaching Archie’s bone marrow transplant and the pressure of what lays ahead is prevalent daily. Over the next 4-6 weeks Archie will have several biopsy’s in preparation and will undergo many tests to check his general health prior to transplant. I shan’t go into detail but these will be both mentally and physically tiring. It’s massively important to remain positive in the difficult weeks/months ahead, so if at any point we go off track please remind us. September 28th marks 8 years since the start of Archie’s long and tiring journey to understand a complex rare bone marrow disorder, which changed his life overnight. 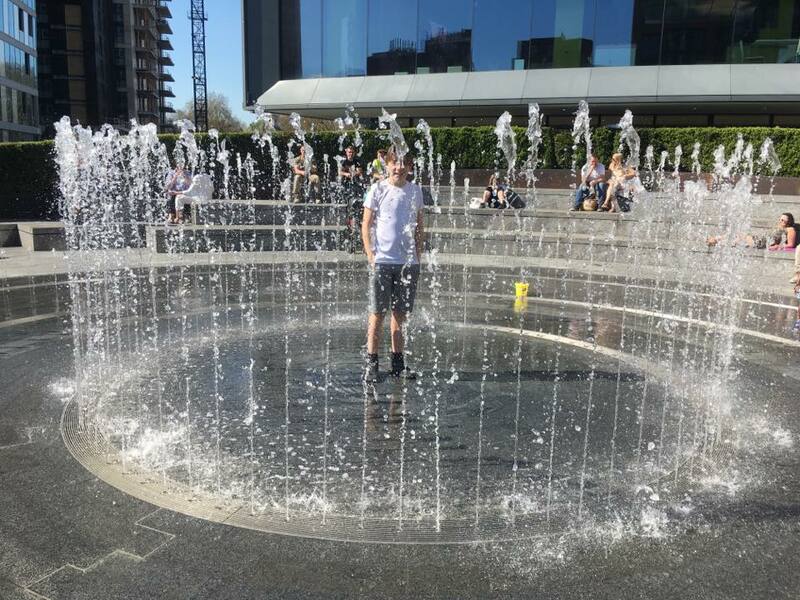 Throughout this journey Archie has endured hundreds of blood transfusions, days/weeks of being unwell, multiple operations and Archie has fought this journey with such courage and determination and has grown into fine young gentleman, with so much admiration and consideration for others. Without the incredible support of everyone who has contributed over the years, at work, in hospital and within the wider community, I’m almost certain Archie’s journey would have been much harder. 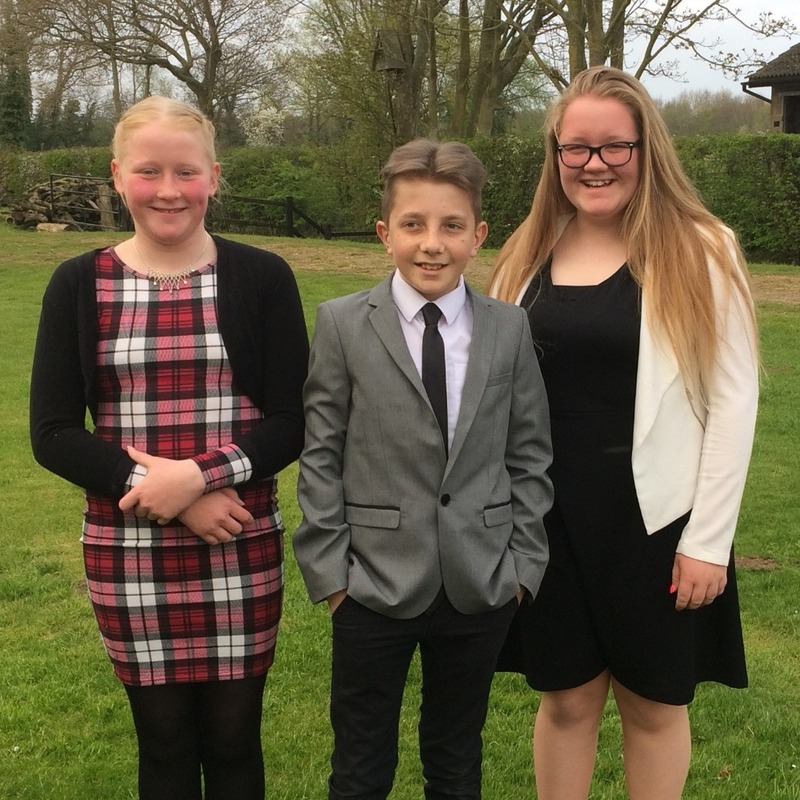 Whilst we are nearing the end of this journey, the final leg will undoubtedly be the hardest challenge for Archie, mum, dad, and Archie’s brother. We will however continue to fight and hold our heads high and remain positive and look forward to the future. Yesterday was a long tiring, hot sweaty day in London, as we attended Archie’s BMT consultation. I’m afraid to announce we didn’t receive the news we expected, and therefore we’re digging deeper for a little longer. So; the good, the bad and the ugly. Lets start with the ugly - In essence Archie’s organs are still badly scarred through iron overload. What does this mean? If Archie was to proceed with a BMT as early as next week, the risk is, Archie would unlikely survive the operation, with figures as high as 80%. 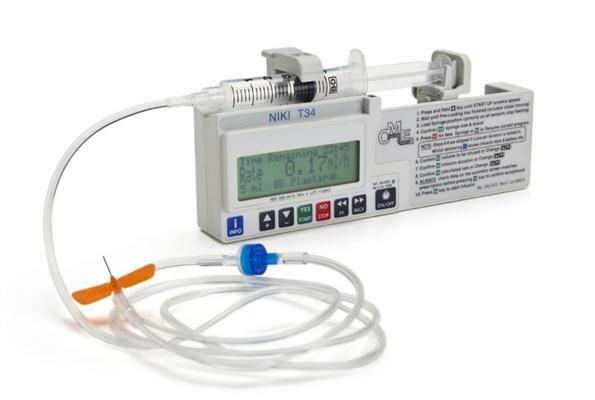 The bad (albeit manageable with lots of help) - Archie will now switch his daily medication through a syringe driver from 10hrs to 24hrs, 7 days a week with a higher dose. How will this help? By increasing his dosage further, we will attempt to reduce iron overload over a short period of time, but this carry’s risks which will need to be monitored frequently. In addition to the increase in oral medication, it’s a big ask! The good! Archie was amazingly receptive and showed real courage and determination as he leaped over this hurdle towards the next. His bravery has excelled once again, whilst accepting a multitude of risks, along with battling another several months of blood transfusions, weekly trips back and forth to see the doctors, hospital for tests and so on. We are truly proud of Archie and his brother as this has been a tiring 8 Year’s and we’re still fighting day in day out. We are incredibly grateful for the support we have received throughout our campaign to date, it has made a huge difference, and it will continue to make a huge difference as we battle on ahead. We may get tired, but we don’t give in. Thank you and please continue as you have, to provide the support towards a journey that will shine through in the future, hopefully in the coming months ahead. P.s. Archie has some of the finest Doctors and Nurses in the country behind him all the way. Both in King’s Lynn and London. They don’t make the decisions, they guide us and act upon our interests. They‘re fantastic! There are times in our lives we have to get off the train, stop, sit and just look around for a short while whilst we observe the greater good within our communities. Today is one of those days. 9 weeks since the start of Archie’s Bone Marrow Transplant campaign, to raise money for out of pocket costs, such as fuel, rail fairs, parking, hotels and whatever else comes our way along this long road ahead. Our initial target was set to £8000 as realistically we didn’t think it was possible to raise anymore than £10,000. Also the initial target was based primarily on a text book timescales for transplant, not really taking into consideration the many ups and down we’ve witnessed over the years. Today I’m please to announce we’ve not only smashed the initial target, but we have now doubled and set to raise over 250% of our original target as we currently stand at £19,687. This is a huge achievement and wouldn’t have been possible without your help. You should all be incredibly proud of yourselves, as each and everyone of you have joined together and achieved the unimaginable. With your help, over the last 52 days we have smashed our initial target of £8000. Obviously with the ever increasing complications we are facing day to day, we are certain costs will rise well above our target. We ask you kindly to keep up the support by sharing awareness of our campaign. We hugely appreciate the support of everyone who has contributed. Once we have a date for transplant we will post an update. In between time, we are doing everything we can to prepare for a difficult journey.